Karaage or chicken karaage is a Japanese fried chicken dish. 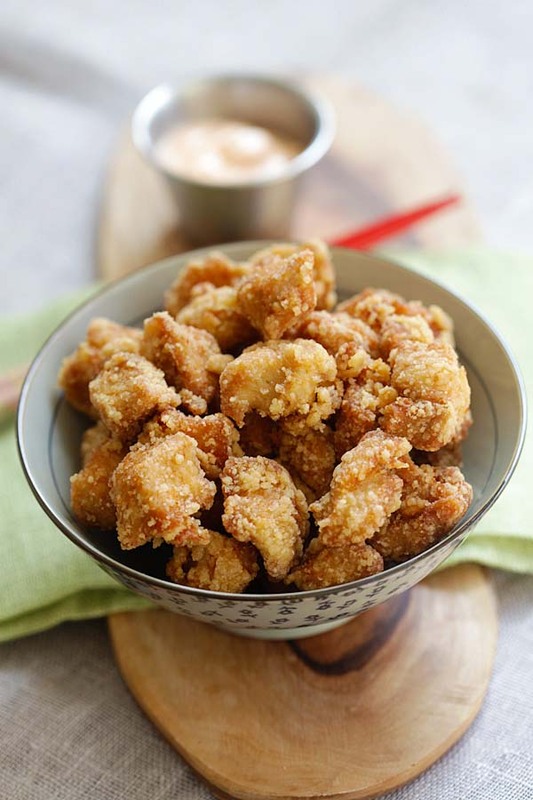 This homemade karaage recipe is easy, delicious with simple ingredients. The end results are juicy and crispy chicken that tastes just like Japanese restaurants! Karaage (唐揚げ) is Japanese fried chicken where small bite-sized pieces of chicken are marinated and then deep-fried to crispy perfection. Karaage is a very popular item at Japanese restaurants here in the US. It’s often served as an appetizer or as part of a Japanese combo or bento meal, it’s also called sesame fried chicken. Use chicken thighs or chicken legs for the best chicken karaage. Cut the chicken into bite-sized pieces. 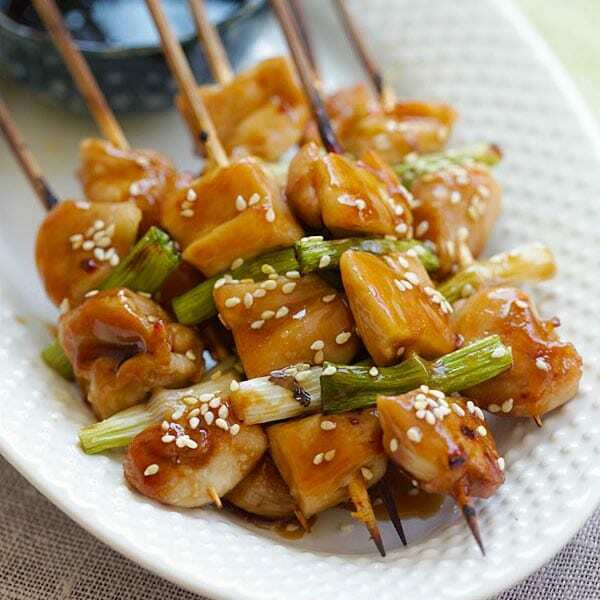 Marinate the chicken with soy sauce, Japanese cooking sake, ginger, garlic and sesame oil for as little as 15 minutes. Coat each piece of the chicken generously with potato starch or corn starch. Deep fry the chicken. They should be brown on the outside but the meat should be juicy and bursting with flavors. For the best karaage recipe, you should marinate the chicken for at least 2 hours or best overnight so the flavors seep inside the chicken meat. Serve the chicken with mayonnaise and lemon wedges. Squeeze the lemon juice on top of the karaage and dip it with the mayonnaise. 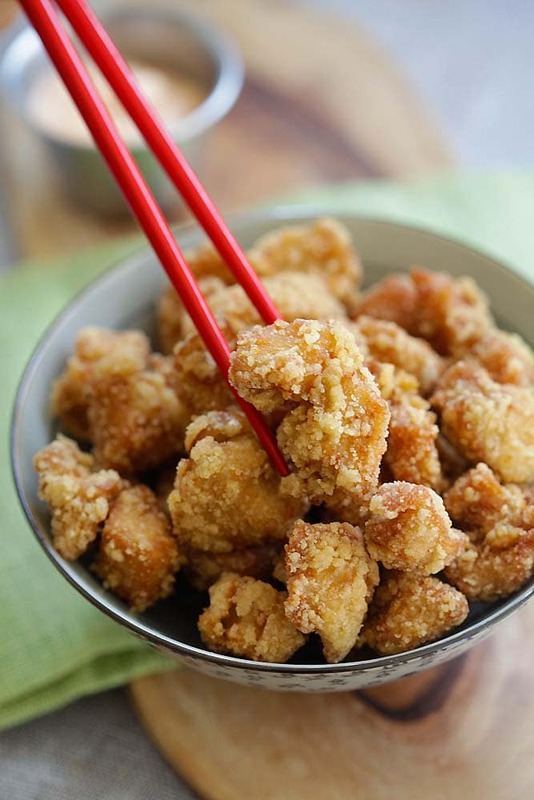 Chicken Karaage - crispy Japanese sesame fried chicken, the best chicken karaage recipe that is better than Japanese restaurants. Use paper towels to pat dry the chicken and transfer to a bowl. Add in the sake, soy sauce, ginger juice, sesame oil and marinate for 30 minutes, best for 2 hours. Transfer the chicken pieces out of the marinate and coat them evenly with cornstarch, in a plastic bag such as Ziplock. Shake off the excess cornstarch. Heat up a wok/pot of cooking oil. When the cooking oil is hot enough for frying (350F - 375F), drop the chicken into the oil and quickly deep fry them until they float. Transfer them out onto a plate and wait for a couple of minutes. Put the chicken back into the oil and deep-fry again until golden brown and crunchy. Dish out to a plate or bowl lined with paper towels to absorb the excess oil, serve hot with a slice of lemon and mayonnaise. 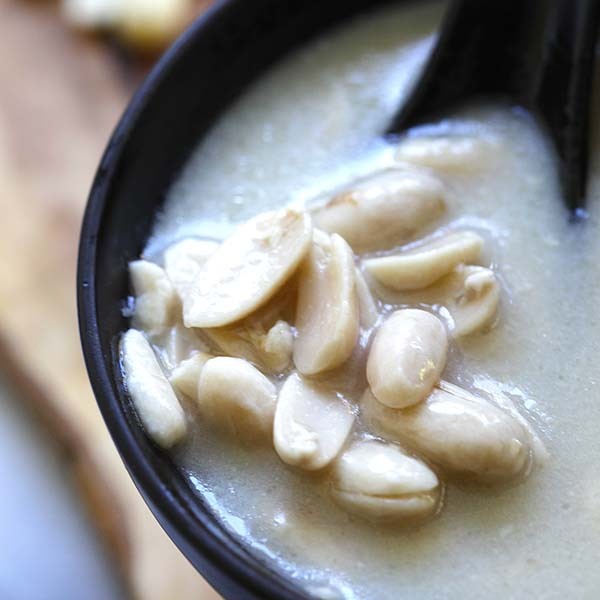 All photos and recipes on Rasa Malaysia are copyright protected. Please do not use the photos and recipes without prior written permission. If you wish to republish this recipe, please rewrite the recipe in your own words instead of copy and paste and link back to //rasamalaysia.com/chicken-karaage-sesame-fried-chicken/. Thank you very much! this is something i never try b4, sake in marinated chicken, ok will try for sure..but one question, why need to deep fry the chicken 2 times? any specific rational behind? if i only fry once, it wouldnt be as crispy as frying it twice? i try the taiwanese 盐酥鸡, i only deep fried once too. Look Yummy! 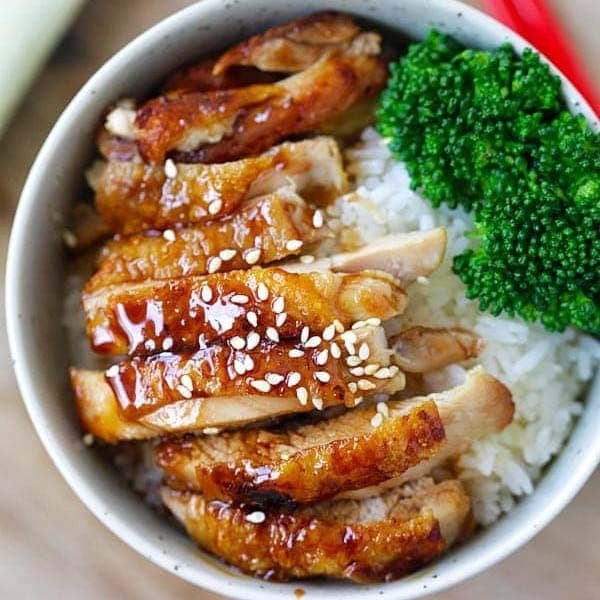 !..Shall try to cook this over the weekend..Had something similar to this in some taiwanese eatery in Melbourne. Yeah its called Salt n Pepa chicken. Hmmmmmmmm this is my favourite to order in Japanese restaurants too! Thanks for the recipe! 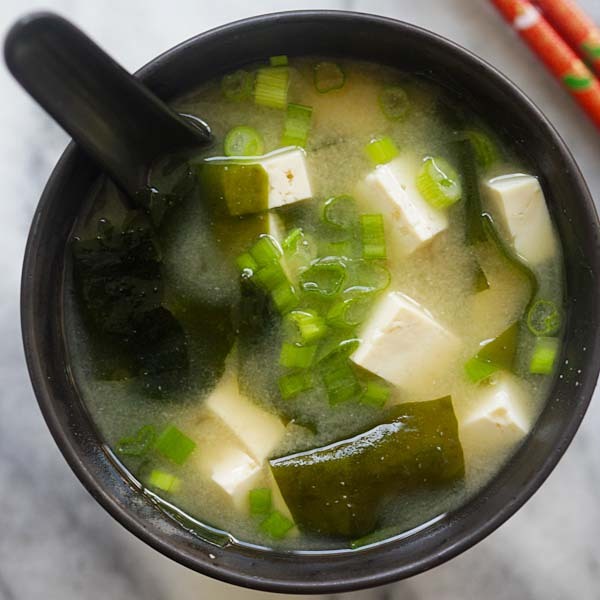 Would you be posting a recipe for Chawanmushi anytime soon? I have been craving for that! I love chicken karaage/sesame fried chicken. I checked out your recipe and it seems really easy to prepare these chicken karaage at home…sweet. I will give your recipe a try. Thank you. I love this too! I used to have this at a Japanese restuarant in Perth called Samurai. Not sure if it’s still there. Beautifully fried chicken! Will definitely give this recipe a try. Thanks for sharing. My Japanese friend advised me to use potato starch. It gives better and crispy crunchiness after deep-frying in the oil. I remember the wonderful street markets around Asakusa — a jumble of food stalls and electronics! We went there on our very first day of our very first trip to Tokyo — what an introduction to the city and food culture. oh my goodness! i love karaage with a passion even though i’m not such a fan of fried foods..this looks fabulous! Oooh, I love chicken karaage! I haven’t made it myself before, I’m excited to try this recipe. All – thanks for your comments, please keep them coming. Sesame fried chicken, I love this so much. I didn’t know that there is no sesame in the cooking process. LOL, but it tastes very good and juicy. Thank you for your recipe! My Japanese friend had a perfect chicken karaage recipe. She used to make it for me. I love chicken karaage because the chicken pieces are always juicy, sealed in the corn starch coating, and the ginger, sake, and soy flavors are just great. I found your recipe searching for a chicken karaage recipe. This looks really easy. I will try it. 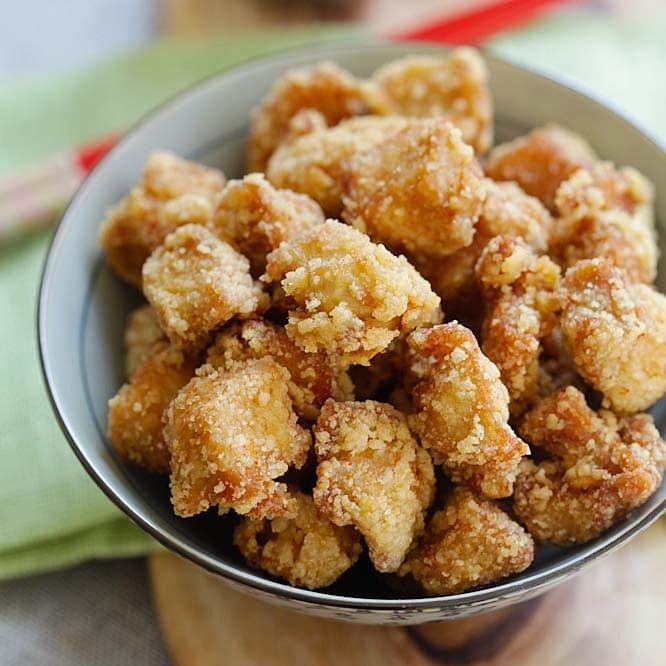 I love chicken karaage, but what I found brings out more flavor is to use a tbsp of ground ginger alond with the cornflour to coat the chicken, it gives it an extra punch. I fry up a batch of Kaarage from time to time. Love the stuff! Incidentally my recipe also comes from Just Hungry. I never added sesame oil but I do throw in chopped spring onions. Never thought to double fry them though it makes total sense! I’ll try to do that next time! Thanks for that tip! 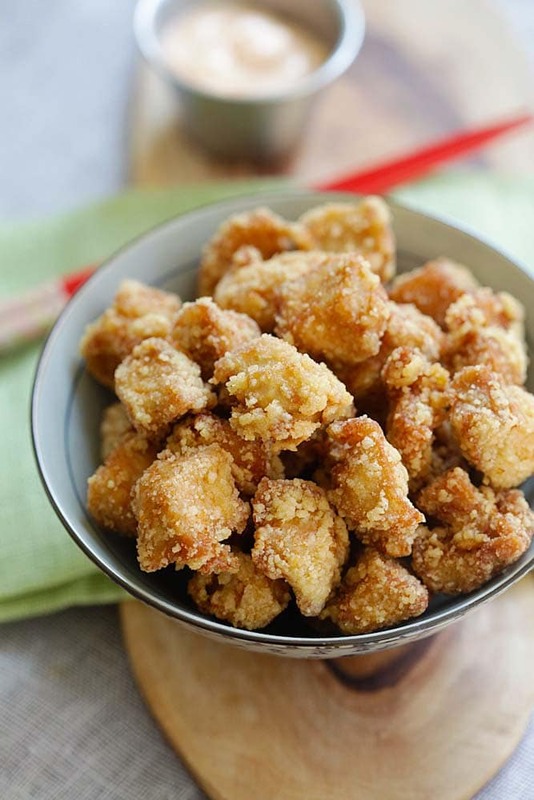 I love karaage and am surprised to see that the recipe is so simple! What kind of oil would be best for frying these mouth-watering nibbles? Moshi – just use regular cooking oil to fry. YUM. this sounds absolutely delicious. will be making it!! thanks! 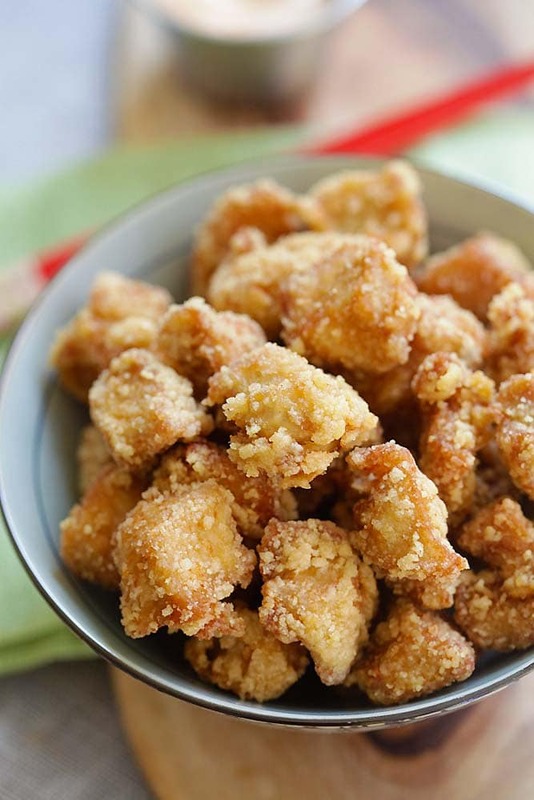 Wandering Educators – thanks for trying out this karaage recipe. Let me know how it turns out. we’ve made this a LOT! i LOVE it! thank you sooo very much! we’re making it again for a bento on thurs – play date at the park, bring lunch. no PB&j for us! I love this chicken karaage recipe, too. It’s great and so easy! Hi! I would like to ask if I could substitute the sake for something else? This is because I don’t take alcohol. When you are cooking, most if not all, of the sake evaporates. Alcohol evaporates at 60 degrees Celsius, remember, while water does at 100 degrees celsius. So you have nothing to worry about. By the time it is finished cooking, the alcohol has evaporated. I love karaage!! I cant wait to try it this weekend :) thanks!! Do you have to wipe off the marinade before you put the chicken in the corn starch? I have difficulty extracting ginger juice. Do you think its possible to replace ginger juice with ginger powder? No, the taste will not be the same. You need ginger juice. Use a mini food processor and then squeeze with your hand. 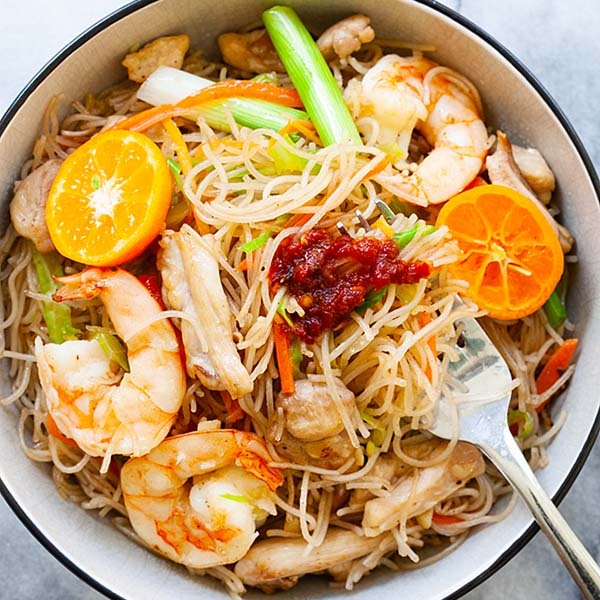 Could you indicate the brand of soy sauce that you used for this recipe? I use a Taiwanese brand Kim Lan light soy sauce. LOVED this recipe, Rasa. My friends and I have always been ordering this kind of thing at the boba houses dotting Los Angeles and San Francisco. I do have the problem of making the chicken a little too dry and a little too salty, though. Next time I’ll trim less fat off and shorten the 1st and 2nd fry times by a few seconds. Those were my mistakes, though–Everything you jotted down was absolutely a pleasure to make and eat. Again, thank you–trying this recipe again soon. I make karaage all the time. If I don’t have sake, I use Mirin (which is sweeter than sake so I use 3/4 mirin and 1/4 rice vinegar or any other vinegar). You can also use any white wine instead of the sake but add a pinch of sugar. cant wait to do this! never thought of using corn starch instead of flour for the coating – ill bet itll be crispy without being heavy or oily. as far as the ginger juice, would a coffee or spice grinder help? or a food processor and then a strainer? even you have to use extra ginger to make the required amount, im sure itd be worth it. i currently have a bottle of sweet soy rather than “regular” soy. do you think it would add to or detract from this dish if i used it? Food processor and then a strainer for the ginger. I use a mortar and pestle and squeeze with my hands. 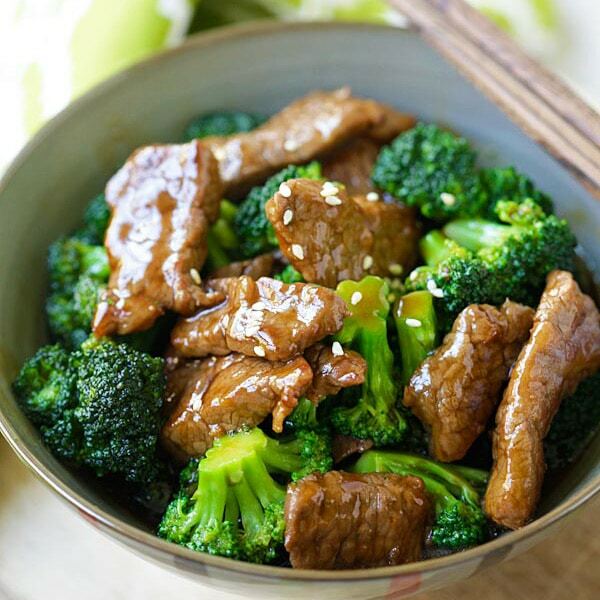 Use regular soy sauce. Hello,from over a year im checking Your blog and trying recipies and i love it,i got Your book as well,but i was wondering which of Your recipies i can use for food to take to work,i have 24h shifts so i need somthing what i can reheat.I was wondering if that chicken is good for this or to eat it cold? This will be good for you to take to work. 空 – kara means empty, kara-age is empty-fried because it has no batter like tempura. 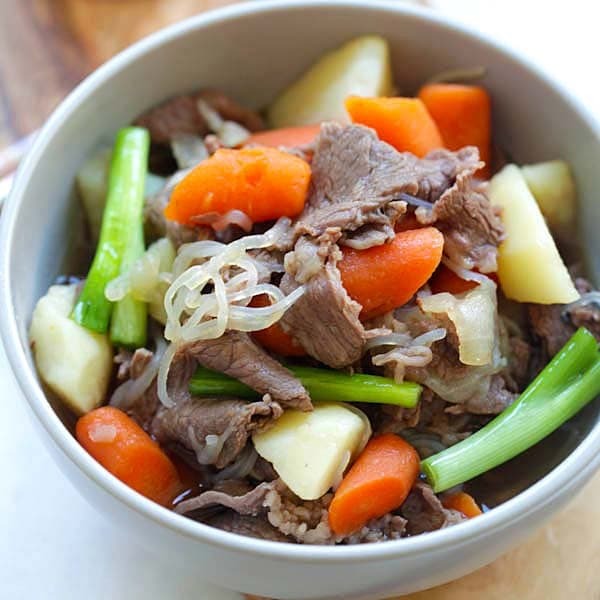 I learn this recipe when I was the cook in the japanese restaurant. Add in sake, ginger juice, soy sauce, sesame oil (optional), kiwi juice, garlic (fresh), white pepper, and also add 1 egg. Hi Bee, I dont know how or why but I found myself with a bottle of Walnut Oil in kitchen. I dont know what to do with it. Can you help ?? Thank you. This is the best chicken I ever made! Exceptional flavors. I didn’t have all the ingredients on hand but it still turned out great. This recipe is a keeper. Thanks! Yes, traditionally yes but most people can’t find potato starch so corn starch is fine. If you have potato starch use it by all means.